It has been just over a year since Oakpark Security joined the Vertas Group in August 2017. For the first time, Oakpark Security operates as part of a larger Facilities Management group that also offers services such as cleaning, catering, grounds maintenance and the sourcing of energy. One of the most common issues that we at Oakpark Security have talked about with our customers and prospective clients is how these wider ‘FM’ disciplines relate to a business security and resilience solution. 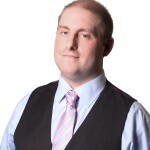 Rather than simply accepting the potential cost-efficiencies that often come from the consolidation of outsourced support services under a single supplier, an increasingly knowledgeable marketplace of security buyers are keen to understand how these wider FM services can actually support Oakpark Security in making their business more resilient. The answer of course varies from case to case, but there are a number of examples we can point to in which other dimensions of facilities management can be utilised in order to offer an increased level of protection to our customers’ property, people, assets and brand. Below are four elements that demonstrate this point in more detail. Vertas has an experienced Grounds & Landscaping team which allows the Security Consultants at Oakpark Security to develop protective perimeter solutions that make use of natural defences. In accordance with the recommendations of our Security Risk Survey, we can instruct our grounds team to undertake various defensive countermeasures, including the use of fast-growing and thorny bushes to reinforce weak segments of the perimeter fence or perhaps the use of creative landscaping to provide clear and maintained ‘open’ spaces to maximise electronic and natural surveillance. 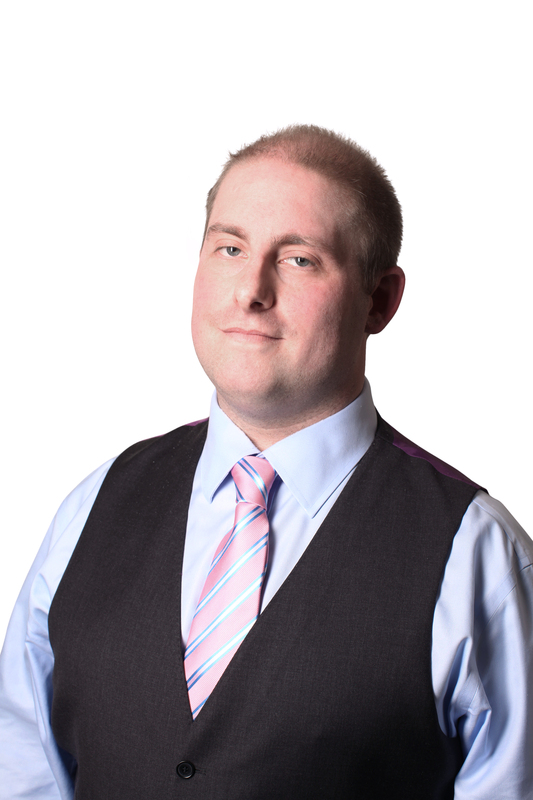 With information security a critical dimension of business resilience, particularly now we are in the GDPR world, it is essential that businesses are alert to the dangers of data loss or leakage. Businesses that are responsible for the movement of large quantities of physical data are particularly susceptible to issues with data integrity and the security of intellectual property, with the regular level of risk only amplified by a higher period of transit time. 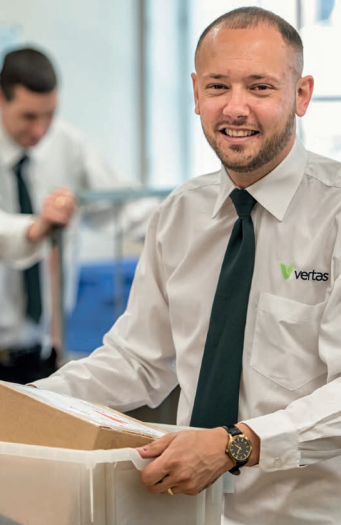 By drawing upon the Courier service offered by Vertas, we can provide a secure transport solution for documents, data and devices, all of which can be transported under conditions that ensure confidentiality, security and transparency – including an electronic audit trail. The security of Post Rooms are absolutely critical to business resilience in an era of heightened risk to both domestic terrorism and information theft/fraud. Mail rooms are often overlooked as among the vulnerable areas of a business operation and often in need of specific security countermeasures as outlined in PAS 97: 2012. As your security partner, Oakpark Security can utilise the Vertas Postal team to provide trained operatives, SIA licensed and vetted to BS:7858 if required, in order to provide a secure, efficient working environment that supports our customer’s core operations while simultaneously increasing their business resilience. With the introduction of a new waste management business in the Vertas Group during 2018, Oakpark Security now have access to a team of specialists who can collect, process and securely dispose of confidential waste. Our Vertas Environmental colleagues can support us in the delivery of a wider Business Resilience Strategy for our customers by offering services such as secure shredding and the disposal of physical data storage devices, ensuring that business critical data is treated with the appropriate care in an era where information security has been realised as perhaps the most critical dimension of business resilience. These are just several examples of how we at Oakpark Security can utilise the wider Vertas Group to support the delivery of dynamic and multi-dimensional business resilience solutions that can be delivered across the whole of East Anglia (Suffolk, Essex, Norfolk and Cambridgeshire). We are committed to moving beyond traditional security solutions in favour of developing a clear end-to-end security strategy with our clients, one that identifies the ‘pressure points’ of their business and introduces the necessary measures to mitigate and transfer risk where appropriate. Being supported by a wider FM group such as Vertas only serves to make this process easier and more cost-effective to our clients. If you would like to know more about these integrated services, please get in touch through enquiries@oaksec.co.uk or by using our Contact Form. You can also contact us by telephone using 01206 793673 (Option 3) for a consultation with one of our experienced team.